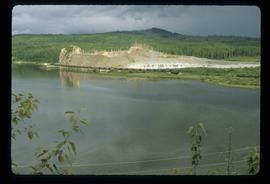 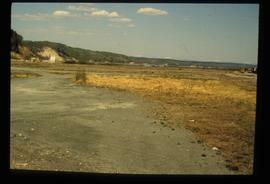 Image depicts the site of Giscome's first quarry, with a train passing by and Eaglet Lake located in the foreground. 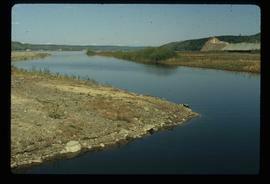 Image depicts the site of Giscome's first quarry, with Eaglet Lake located in the foreground. 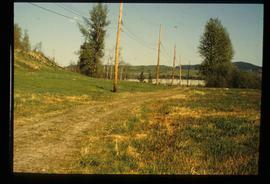 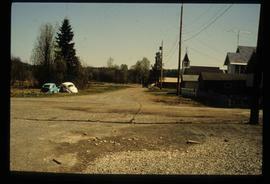 Image depicts a road with Eaglet Lake in the background. 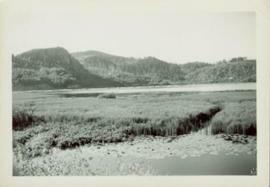 Image depicts what is possibly an inlet or small river of Eaglet Lake. 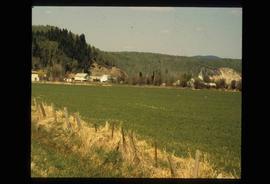 A grey area of hill on the right side of the image appears to be the Giscome Quarry. 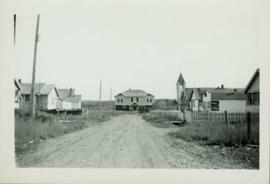 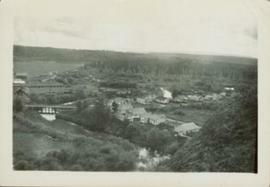 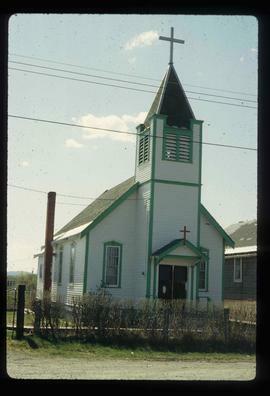 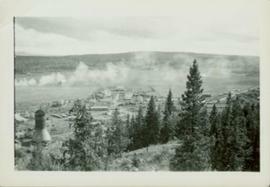 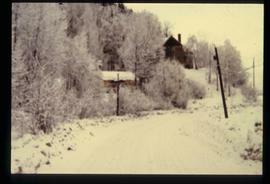 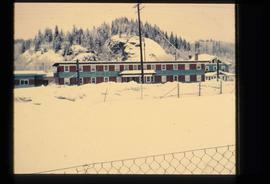 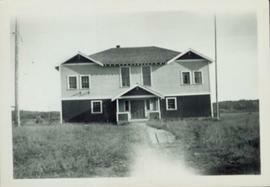 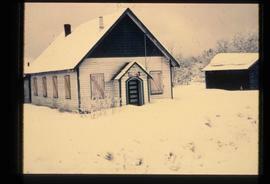 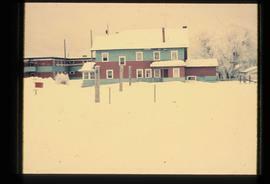 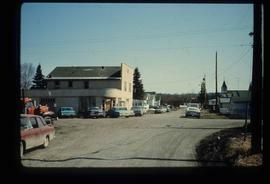 Image depicts numerous houses, possibly located in Giscome, B.C. 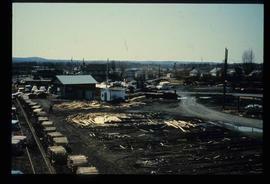 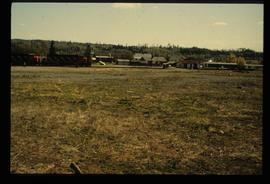 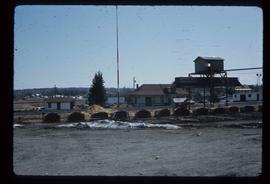 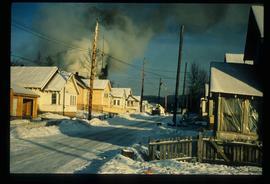 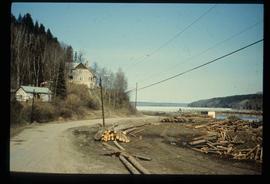 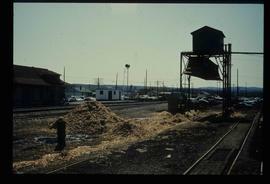 Image depicts numerous houses and piles of wood in what is possibly Giscome, B.C. 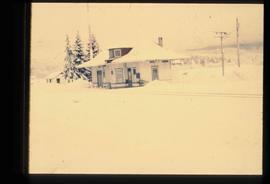 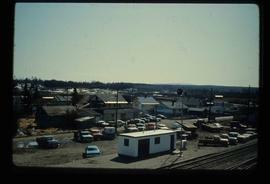 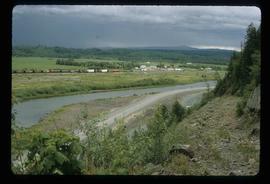 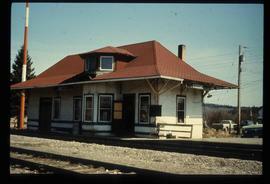 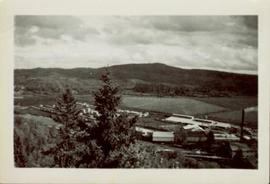 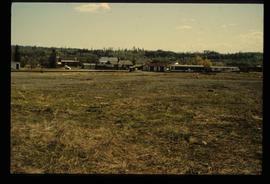 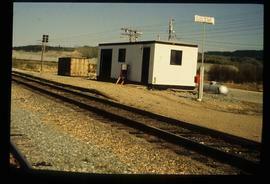 Image depicts numerous houses and a train, possibly located in Giscome, B.C. 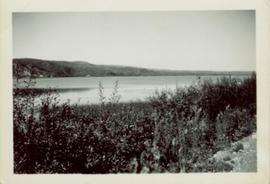 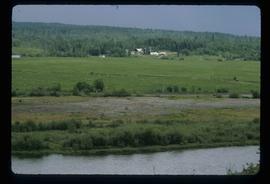 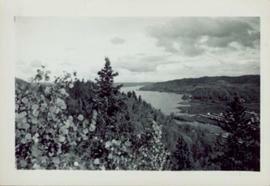 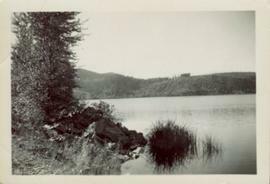 Image depicts an open area with a lake, possibly Eaglet Lake, located in the background. 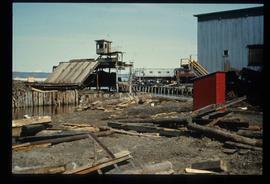 It is possibly located at the quarry in Giscome, B.C. 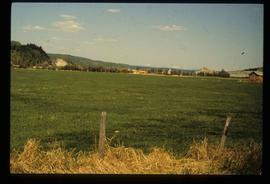 Image depicts an open field. 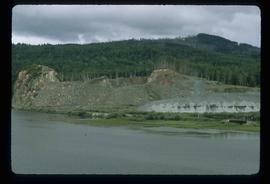 On the right side of the image, in the background, is a grey strip that appears to be a mine, possibly the quarry at Eaglet Lake in Giscome, B.C. 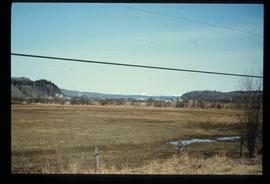 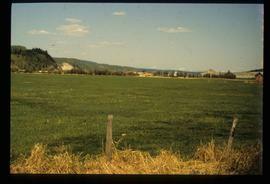 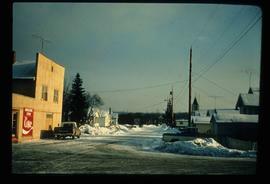 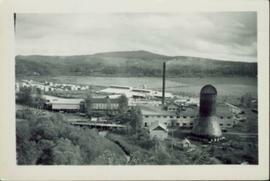 Image depicts an open field and what appears to be a small town in the background. 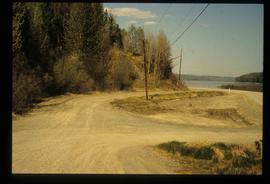 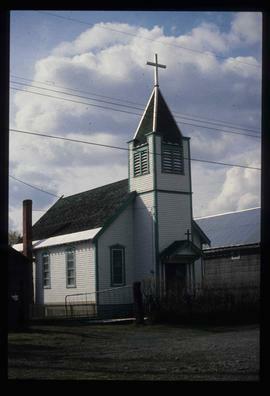 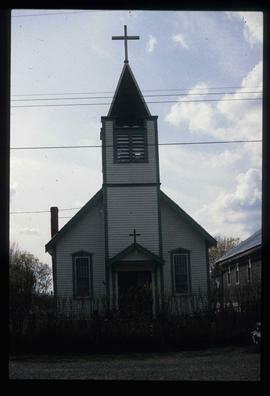 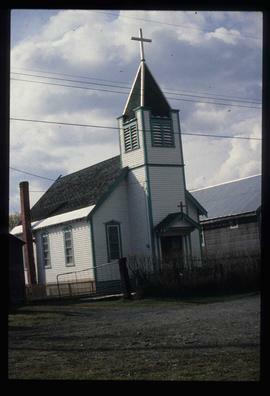 It is possibly Giscome, B.C.